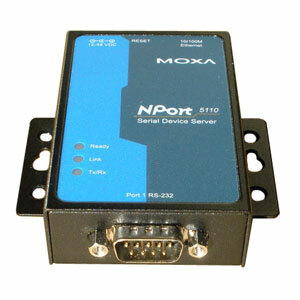 This 1-port Serial to Ethernet (also called a serial device server) has one RS232 port and can be used for most basic and advanced applications; so if you need a great entry level converter with many advanced features and functions then the NPort 5110 is for you. 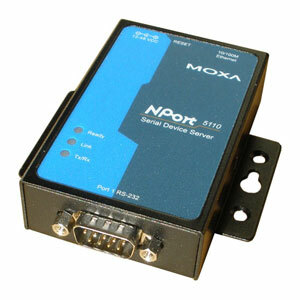 As with most of our other serial to Ethernet converters the NPort 5110 will work with most RS232 serial devices. 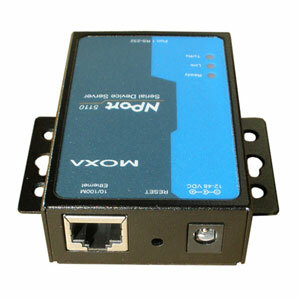 It will allow you to connect a serial device with a standard RS232 interface to your computer over a local LAN network or even over the Internet (using a VPN or DDNS service). 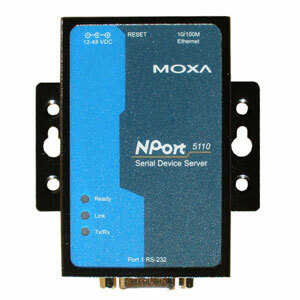 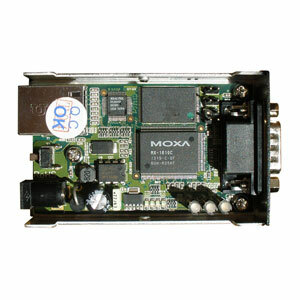 The NPort 5110 is designed around MOXA's own MX-1610C processor chip and a Realtek RTL8201 PHYceiver which makes this serial Ethernet converter a great all-round high performance and reliable converter which is ideal for most office, laboratory, workshop and other light commercial environments.